President Barack Obama’s eight-year tenure is drawing to a close, leaving us to wonder if he’ll follow up his historic time in office by hosting a podcast or becoming the next James Lipton. But Deadline reports that before he returns the keys to the White House, the President will head to Alaska to rename a mountain and brave the wilderness with Bear Grylls. President Obama recently announced that he would travel to Alaska to talk about global warming, in part because the state is home to some of the most visible effects of climate change. While there, the President will also grant the request of native Alaskans who want the name of the country’s tallest mountain, Mount McKinley, to be formally changed to Denali. 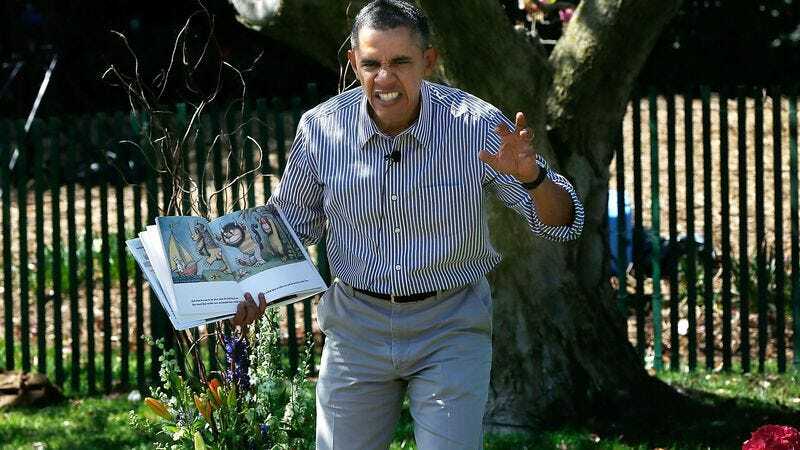 President Obama will then receive “a crash course in survival techniques” from the titular host of Running Wild With Bear Grylls. The President will follow in the footsteps of Kate Winslet, Ed Helms, and Michael B. Jordan on his Alaskan trek with Grylls. These actors and others all survived their time with the conservationist, so First Lady Michelle Obama can probably relax about the President returning to D.C. in one piece.